Senden Sie eine Anfrage nach Verfügbarkeit mit Ihrem gewünschten Daten an die The Knickerbocker Hotel. Intimately stylish guest room with 1 King bed and interior views. Intimately stylish guest room with 2 Queen beds and interior views. Intuitively designed deluxe guest room with 1 King bed and interior views. Intuitively designed deluxe guest room with 2 Queen beds and interior views. Overlooking 42nd St. or Broadway, this premier guest room offers 1 King bed and stunning city views. Overlooking 42nd St. or Broadway, this premier room offers stunning city views. Each junior suite offers 1 King bed and views overlooking 42nd St. or Broadway. Each junior suite is a sophisticated space with 2 Queen beds, seating area and interior views. 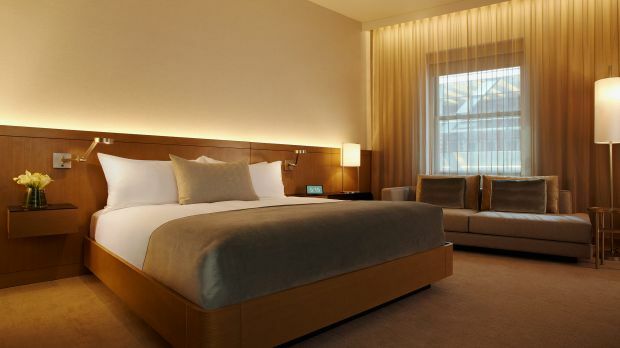 The corner junior suites boast enviable views overlooking Times Square and King bed. 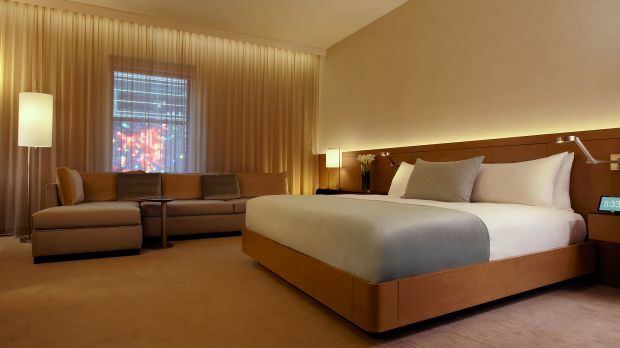 Overlooking Times Square, the Tribute Suites offer 1 King bed, a sitting area and custom designed spacious bathroom. The Caruso One Bedroom Suite overlooks Broadway and 42nd St. and boasts a King bed, marble bathroom and a separate living room.